Grains are a dietary staple for many people, despite their subpar nutritional status. Wheat and corn are the most consumed grains in the world and their proliferation into the food market makes them almost impossible to avoid. An added problem with corn is that it's often genetically modified, a practice that presents its own concerns. And, of course, for many people, the gluten content in wheat does a terrible number on their digestive system. 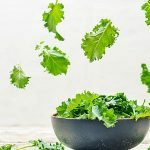 Fortunately, for those interested in a gluten-free diet, there are several alternative grains that provide better nutrition without the problems. Here are a few alternative grains you should give a try. Note that these grains do not contain gluten, a hard-to-digest protein that interferes with thyroid health. Considered a seed by most botanists, quinoa is quickly becoming one of the most popular alternative grains in the United States. This ancient food, heralded by the Incas, contains all essential amino acids and is a complete protein. It’s high in fiber (much more so than rice and wheat), and is gluten free. Quinoa can be used to replace rice or steel-cut oats. 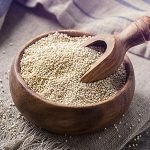 Millet isn't new, in fact it's been a dietary staple for thousands of years and is considered a quality alternative grain that rivals wheat, rice, and oats. Millet has a low impact on blood sugar compared with other grains, and some research has shown that the grain may be helpful for supporting ocular health. Millet can be cooked in a similar manner as rice and oats and can easily be used as a substitute for these grains. Although rice isn't the most nutritious food on the planet, it does have its place in the lives of millions of people. White rice is the processed form of brown rice, stripped of its fiber and antioxidants. Brown rice, on the other hand, maintains its natural form, containing the bran, germ, and endosperm. This unprocessed form of brown rice leaves its fiber intact, slowing the impact the carbohydrates has on blood sugar. Amaranth has been cultivated for over 8,000 years and was a staple in the diet of the Aztec civilization. The grain contains a high level of lysine, an amino acid that is lacking in wheat. 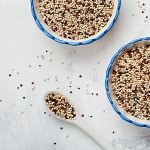 Therefore, amaranth is seen as a popular complementary protein to common grains, helping vegetarians and vegans receive all essential amino acids. Research shows that amaranth may benefit cardiovascular health, and some studies indicate its high amount of antioxidants. Amaranth can be toasted, boiled, and baked if used as a flour. This ancient grain is making new waves in the health food world, quickly becoming the new quinoa. It is similar in nutrition and taste to quinoa; however, it lacks the bitter saponins that coat quinoa seeds. Saponins also interfere with proper nutrient uptake. 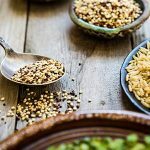 Kaniwa is slowly making its way into grocery stores, with most natural stores and online retailers selling this gluten-free grain alternative. There you have it! 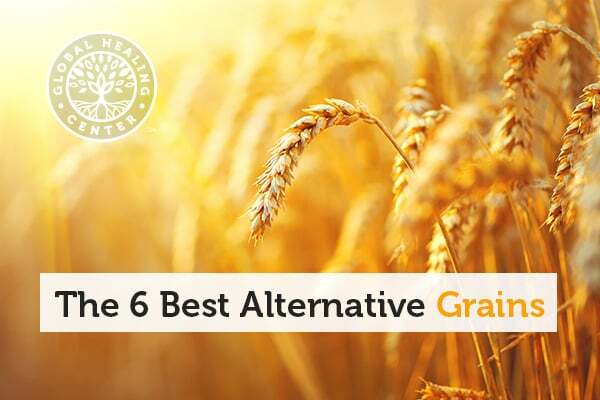 Six excellent grain alternatives you can try. If you have tried them already, leave a comment below and let us know your experience or share your favorite recipe! Abugoch James LE. Quinoa (Chenopodium quinoa Willd. ): composition, chemistry, nutritional, and functional properties. Adv Food Nutr Res. 2009; 58: 1-31. doi: 10.1016/S1043-4526(09)58001-1. Muralikrishna G, Rao MV. Cereal non-cellulosic polysaccharides: structure and function relationship - an overview. Crit Rev Food Sci Nutr. 2007;47(6): 599-610. Chethan S, Dharmesh SM, Malleshi NG. Inhibition of aldose reductase from cataracted eye lenses by finger millet (Eleusine coracana) polyphenols. Bloorg Med Chem. 2008 Dec 1;16(23): 10085-90. doi: 10.1016/j.bmc.2008.10.003. Hosaka T, Sasaga S, Yamasaka Y, et al. Treatment with buckwheat bran extract prevents the elevation of serum triglyceride levels and fatty liver in KK-A(y) mice. J Med Invest. 2014;61(3-4): 345-52. Jan Czerwinski, Elzbieta Bartnikowska, Hanna Leontowicz, et al. Oat (Avena sativa L.) and amaranth (Amaranthus hypochondriacus) meals positively affect plasma lipid profile in rats fed cholesterol-containing diets. Journal of Nutritional Biochemistry. Volume 15, Issue 10, Pages 622-629, October 2004. DOI: 10.1015/j.jnutbio.2004.06.002.